Hello all, sorry for being away for so long and not posting. There are reasons which I don’t really need to go into here. But anyway I am back. So here’s what I’ve been working on. You all remember this quilt. 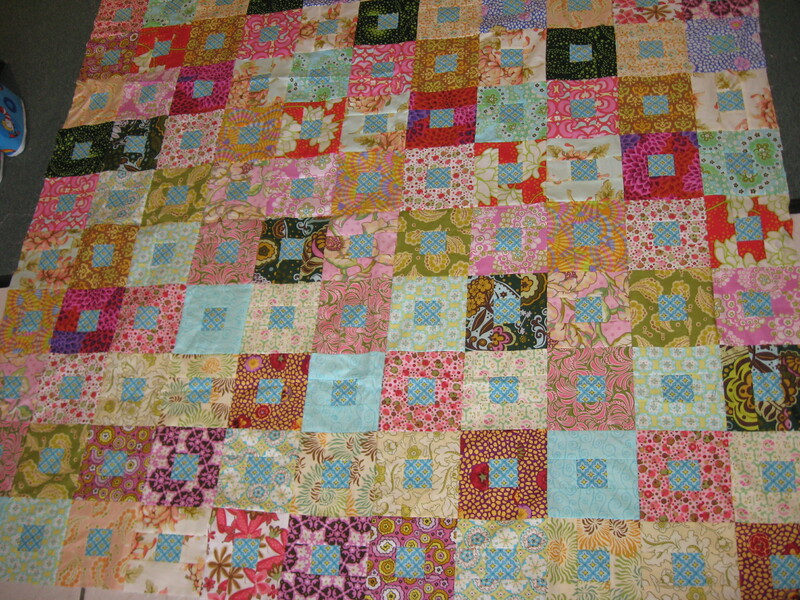 Well if you’ve seen my earlier posts you will know that I’ve been participating in the Fat Quarterly Quilt Along. Well I finally finished the quilt top. I can’t decide yet whether I’m going to put a border on this or just leave it without a border. Hmmm, decisions, decisions. 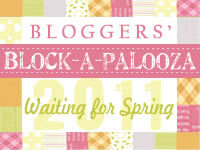 I’m also participating in the Quilt Fabric Delights , It’s Charming – Charm Square Club. Every six week you get a new project from a different designer with a charm pack, threads, etc to make it. This is the first one that I received in the mail on Tuesday. The pattern is by Gail Pan and it is a table runner. 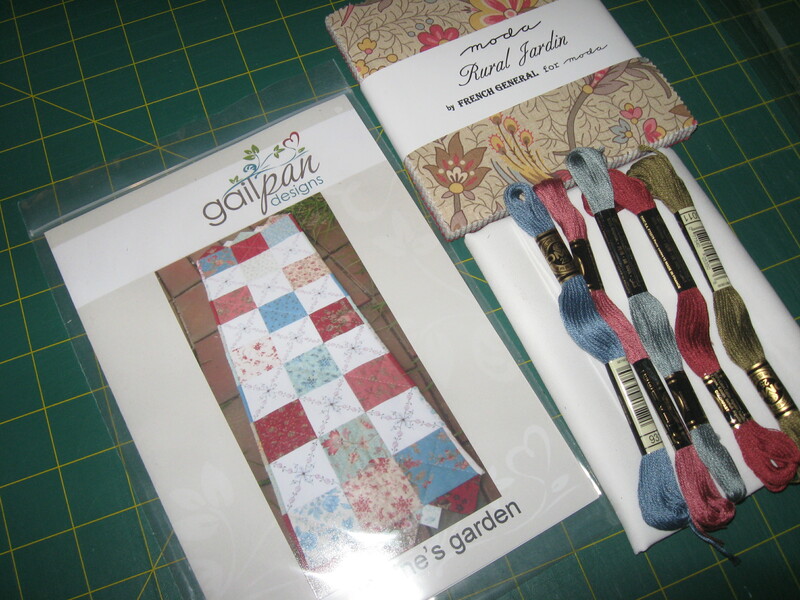 In that same package from Sarah at Quilt Fabric Delights, was some yardage that I bought on special. 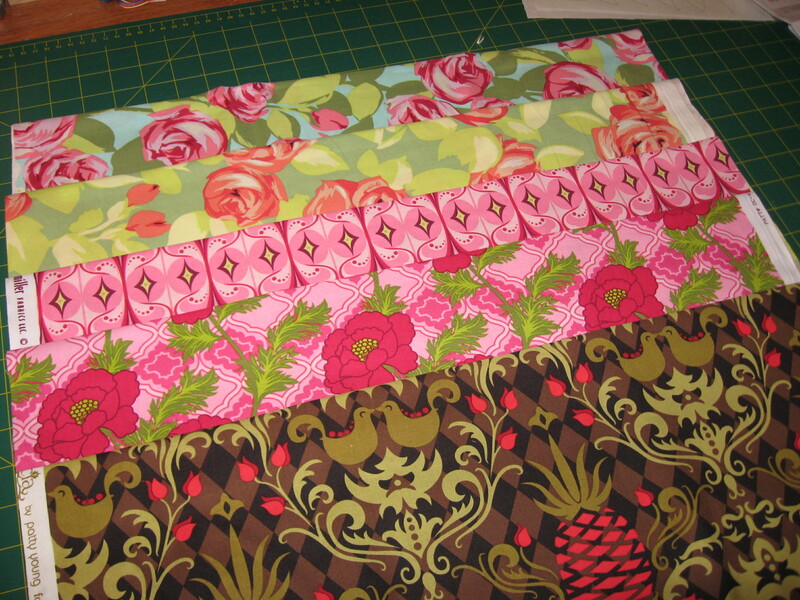 The top two are Tumbling Roses by Amy Butler and the bottom three are Mezzanine and Andalucia fabrics by Patty Young. This entry was posted in Quilts. Bookmark the permalink. Your quilt is looking amazing! If I get a vote I say no border. What size is it? It looks quite large. PS was that charm square club made especially with you in mind?!? Thank you. It’s not as big as you might think it is. I haven’t measured it yet though. I’m thinking on the no border as well. As for the Charm Square Club, it’s seems to be that way???? ?